Thank you for selecting Clean Green, Inc. for your landscape and irrigation project! 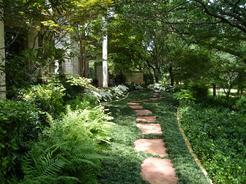 We can design, install new landscape, irrigation system, landscape lighting, hardscape, etc. We can repair your sprinklers and maintain your existing landscape. If you are interested in new installation of irrigation or landscape, you are in the right place. Get a green lawn with Clean Green lawn care services. Please fill out as much of the information as you can in the fields bellow and we will get back to you with your quote and a target time for your project right away. Over centuries evergreen landscapes with step stone traditions have been continually shared between cultures. With its formal and classical gardening. sprinkler repair Irrigation evaluation diagnostics services updating ... valve locating Rain sensors drip Upgrade irrigation controller, relandscape, replace or repairs. Find lawn and garden sprinkler system repaired. Stuck sprinkler valves. Broken sprinkler Heads. Sprinkler leak Sprinkler Parts. Leaks. Custom landscapes Services. Backflow replacement or Installations In Well Water ... Install freeze Protection to the irrigation system devices. Install or Repair a Main line water pipe in Denton . due to sprinklers or sprinkler valve leak. Team we believe in 100% real green landscaping in addition we can also offer competitive rates and exceptional lawncare, sprinkler installed, irrigation and landscape service to all our customers. As your local yard services we will work closely with you to understand your specific deeds as a home owner and landscaping contractor. 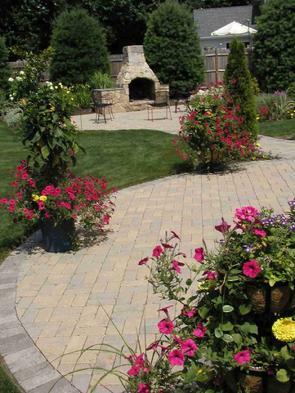 And even beyond together, we can customize your and our landscape and/or hardscape ideas. We believe in working hard and think safe, clean green family is friendly positive attitude, and responsible. Our goal is to continue to make Clean Green, Inc. a great green team place to work. 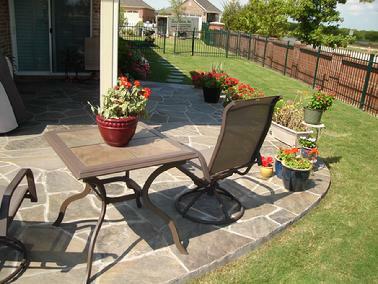 Serving all your landscaping needs on complete installations, maintenance, irrigation work and/or repairs. The flagstone patio in this fairly small backyard is well integrated with the curving shape of the flag stone patio and the curving lawn work well together. Need help with your water garden, fountain, pondles, bubbler plumbing assembly, water column fountain, stone fountain, stream water fall design and/or installation? For a small pond, a simple waterfall is a good choice. The waterfall is easily seen against the rocks. Waterfalls takes the form of a simple natural water garden, in the center or corner of back and/or front yard. Water features are a dramatic addition for any landscape. Clean Green, Inc. provides a complete range of installation tools accessories for the professional water features contractor. We know how to build water features and what tools and accessories are needed to do the work right at the first time. The elegant outdoor fireplace built right into the pavers patio hardscape and Landscape, such as the one shown above, are a common pavers and fireplace that provide a sutle contrast with the natural garden. Lawn Sprinkler Repairs, Services and New Irrigation Installations. Troubleshooting. backflow Installation. Rotors. Valves. Broken Sprinkler Heads. Spray Nozzles. Controller Upgrades. Timers. Drip-irrigation. Micro-Irrigation. Rain - Frezze Sensors. Ajusted and/or replace broken heads. Valve locating and replacement. Emergency Repairs. PVC Pipe Repairs. Irrigation System Addtions and Modifications. Detecting Leaks And Water Conservation Tecchnology. If you in Plano, Frisco, Little Elm, Think how much money you can save in your water bill by updating your sprinkler system! Sprinkler repair, Drainage Solution, Landscape Irrigation Landscape Lighting & lawn care. We located in Denton county, near Dallas and Collin County areas. The boundaries of our service area are: North & South of Highway 380, West of Highway 75 Central Expressway, North & South - Loop 190 (President George Bush Toll way), East & West of Flower Mound, And our service area includes the following cities: Little Elm, Plano (North, south, east & west of 75) Frisco, Carrollton, Allen, McKinney, Coppell, Flower Mound, Lewisville, Corinth, Highland Village, Castle Hills, Oak Point, The Colony, Prosper, Providence, Savannah and North Dallas Fort Worth, TX.